Welcome to Diav’s nursery! This room was a project to begin with. As you all know, Nina had gifted decorating this room to Dipti and Sachin for their baby shower. Well, it didn’t stop there. 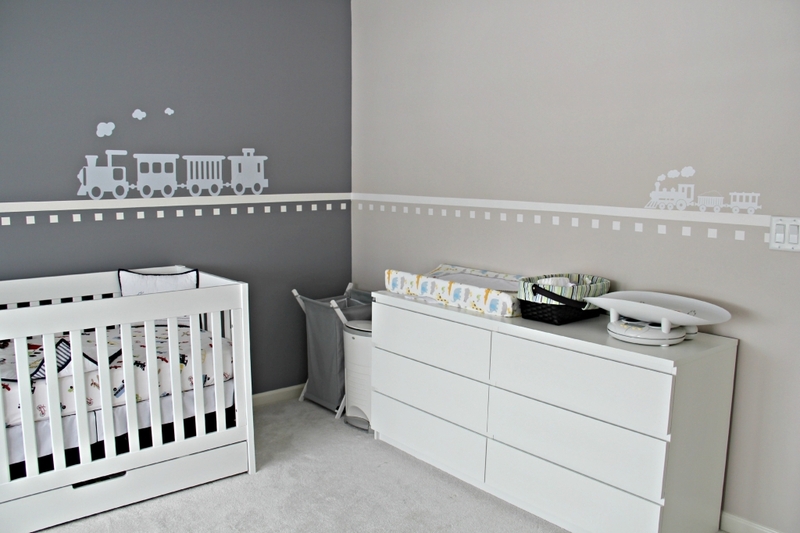 Everyone had their little part in creating this room and it turned out just like the parents wanted. 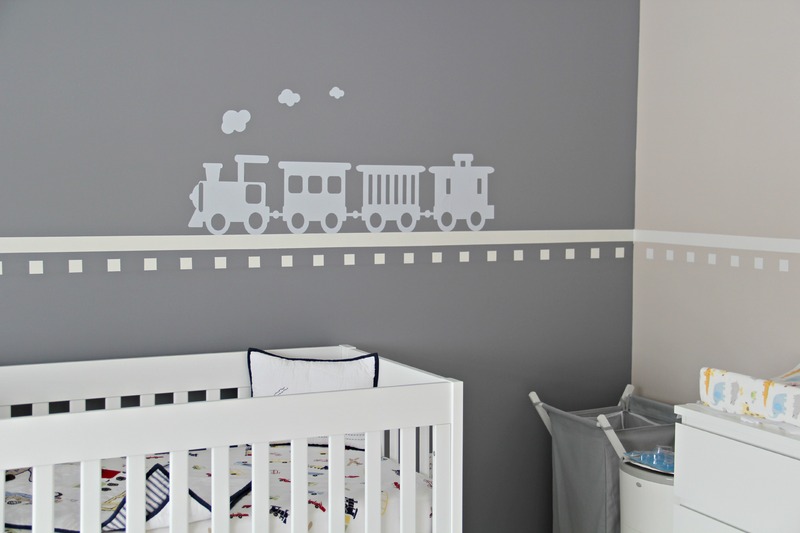 Nina painted the train tracks around 2 walls of the room and Sheena used her silhouette to create the train decal. 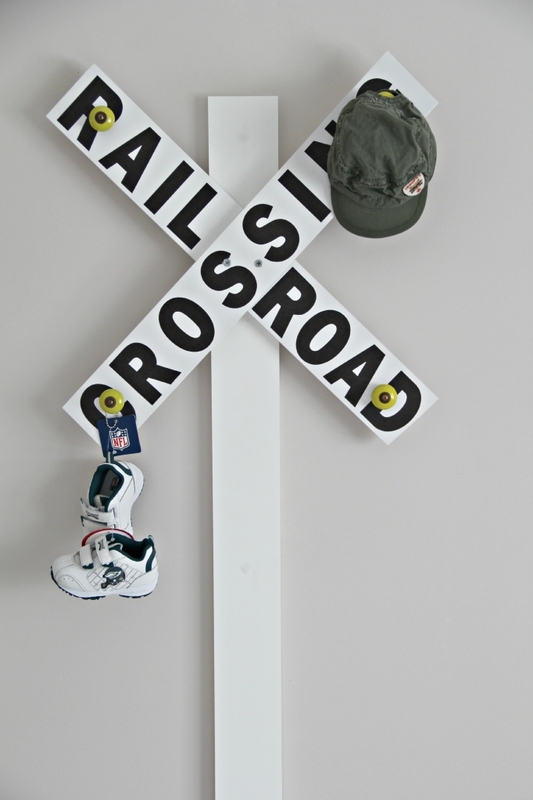 In keeping with the train theme, Sachin built a railroad crossing sign which they nailed to the wall. He added small door knobs to the 4 corners so that it could be useful as hanging space for Diav’s accessories! 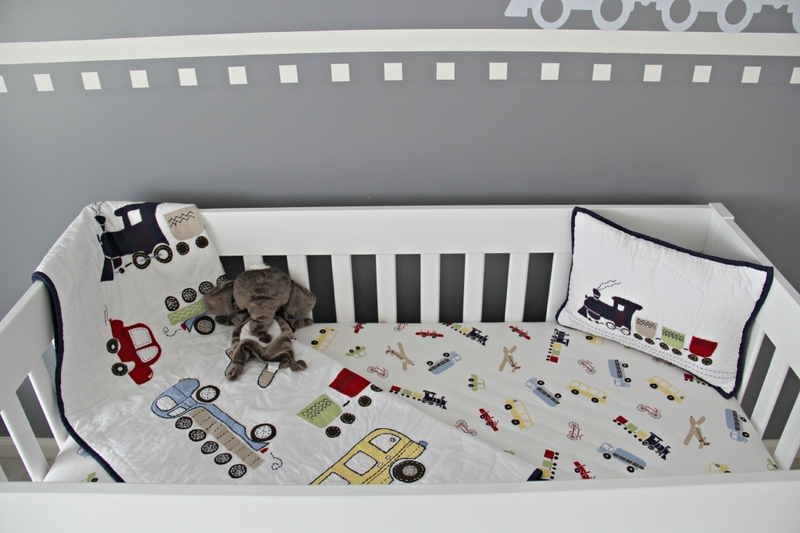 This bedset was perfect for the nursery! We got it from Pottery Barn Kids. While Diav isn’t using it just yet, it blends perfectly with the room! Dipti also wanted a space to put up some pictures and fun train trinkets so Sachin bought and installed these shelves from Ikea. Naturally, no room is complete in this house without some Philly love. 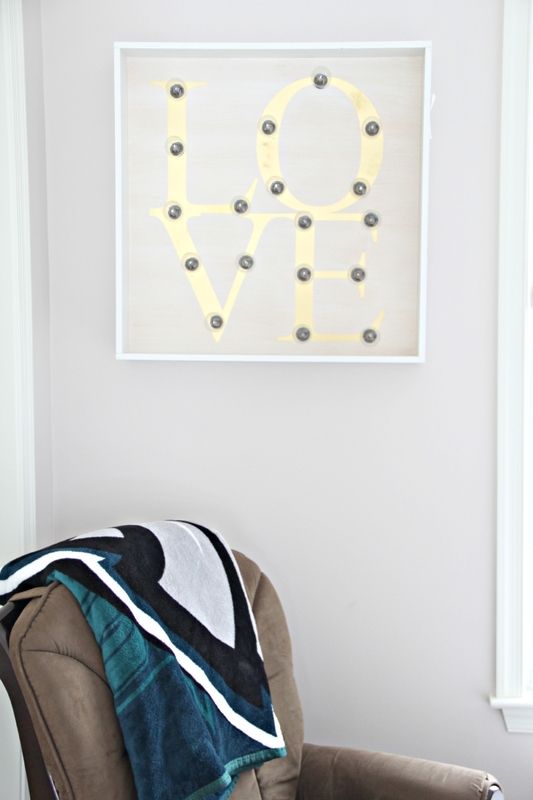 Sheena and Nina found this LOVE wall hanging with light bulbs at Home Goods. 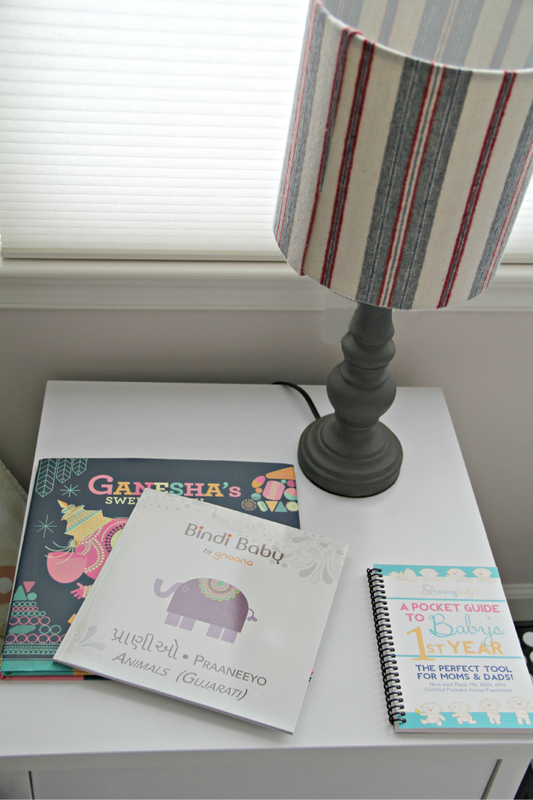 It was absolutely perfect for the room and tied everything together perfectly. And Dipti does not sit anywhere without her Eagles blanket – so feeding sessions are comfy and cozy with the 3 of them!